INFOstable is a media company focused on parenting. We are committed to nurturing families. We help your family flourish by delivering first-rate, relevant and intriguing content through websites such as EBONYParent and LullabyLane. We educate. We inform. We help you save money on the products and services that you use most. If you are an advertiser interested in helping build strong parents, children and families, we invite your support. If you are a blogger or another web publisher dedicated to helping parents, then we welcome your collaboration. We are keenly interested in partnerships that benefit our consumer audience. Feel free to contact us for more information about partnership opportunities. A wealth of information about pregnancy, newborns, infants, toddlers and moms. The Community allows sisters to share, and to write with their hearts and minds. From newborns to toddlers, LullabyLane is full of money-saving tips for new parents. You'll find some of the best mother-to-mother advice around in our community. Join us! This Fall, INFOstable is launching an exciting new television program for parents just like you. Are You Ready for SheCon? If you are passionate about helping families and parents, and have a website, a blog, social media followers or all of the above, we've got a great opportunity for you. 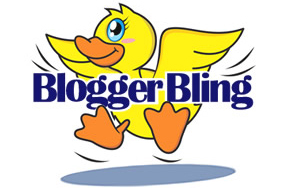 We're launching an exciting new concept called BloggerBling, where you can earn money by helping your readers save money. Wanna learn more? Click here. INFOstable advertisers only pay for results. Unlike many other publishers who sell ad space on a viewership basis, we partner with our advertisers to find scalable customer acquisition and activation strategies that work for our company and yours. Afterall, if you are not successful, we're not successful. To learn more, click here. INFOstable offers performance based lead generation and customer acquisition programs. Want to know more?